Applying for a Russian Visa is relatively simple for tourism purposes but can become complex when you are travelling for business. Russia has treaties with a number of countries allowing Visa exemption for certain travellers. You can find country exemptions and specific requirements in the relevant type of stay sections below. To apply for ALL types of Visa you will need to complete an entry form (available online) and wait 3-10 working days. However, it is advisable to leave a minimum of 2 months for your Visa application to be approved as many people have reported severe delays in approval. For many types of Visas you will also need to provide a “Visa Invitation”. This is a document provided domestically when an individual or company is inviting you to Russia. For tourists this will involve a travel company vouching for your stay and will more than likely be handled for you. Independent travellers will need to use a tourist agency to attain a complete Visa Invitation – which usually comes with a modest fee. Business travellers will need to request there employer or the company they will be visiting to make a Visa Invitation request. In addition you may also be required to provide further documents and identification – these documents are covered in the relevant Visa sections below. It is also worth noting that there are a number of regions and cities within Russia that require a special permit to visit. These cities and regions are considered “closed” cities to foreign visitors. If you are travelling on business or travelling independently check the following list of closed cities available here. In addition – upon arrival you will need to register your Visa with your sponsor (hotel or company). Many hotel reception desks will do this for you on check in. Failure to do so will invalidate your Visa so make certain it is registered. Short stay visas require you to fill out the standard forms detailed above. If you are visiting Russia with a travel company this will often be done by your tour operator – though be sure to check. Abkhazia, Armenia, Azerbaijan, Kazakhstan, Kyrgyzstan, Moldova, South Ossetia, Tajikistan, Ukraine, Uzbekistan and stateless former USSR citizens of Latvia and Estonia. Argentina, Brazil, Chile, Colombia, Ecuador, Fiji, Guatemala, Israel, Nicaragua, Peru and Venezuela. Bosnia and Herzegovina, Cuba, Macau, Macedonia (tourist voucher or invitation required), Montenegro, Serbia, Thailand and Turkey. 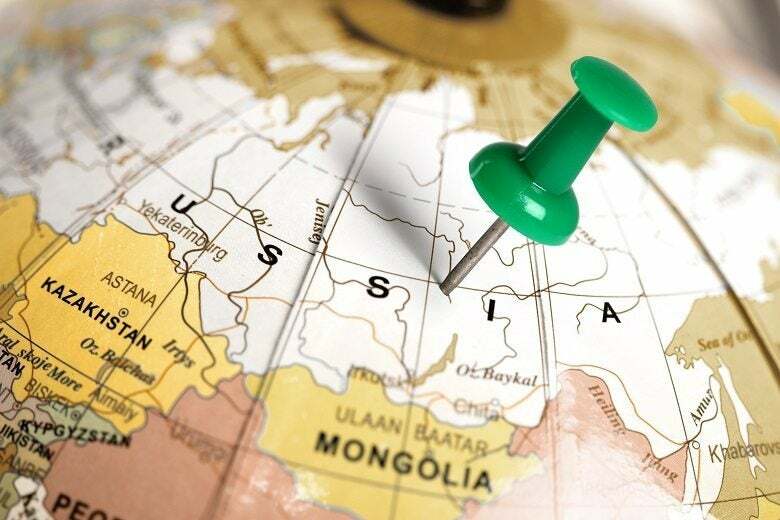 Working in Russia is relatively straightforward as you only need to supply sponsorship and documentation from the business you will be working with, or for, within the country. This takes the form of the invitation document and an employment letter from the employer – which must include name, address, purpose of visit/employment, date of entry, financial responsibilities and the name and address of your principal company contact. If you are staying for a period exceeding 90 days you will also need to supply a HIV certificate that was issued within the last 3 months. A business visa is valid for 90 days and allows two entries into the country. This Visa entitles you to work and attend meetings in Russia but not to be fully employed within the country. The multiple entries Visa is valid for a full year with no limitations on the number of entries into the country. The Visa entitles you to work and attend meetings within Russia but not to reside there permanently or be fully employed within the country. A work Visa is intended for people employed by a Russian company with the majority of their work taking place within the country. It is valid for one or more years and entitles you to work and reside within the country. To study in Russia you will need a special student Visa. These are valid for a number of years based on the length of study intended. In addition to the standard documents you will need to provide a supporting letter from the academic institution or company you will be studying with and a recent (within the last 3 months) HIV test certificate. Russia offers a private visa which covers family and personal trips. You will need to provide a private invitation form (of the family member, friend or relative you will be visiting) in addition to the standard documentation outlined at the top of this page. If you intend to stay in Russia for a period exceeding 90 days you will need to complete a significant amount of paperwork. You initially need to apply for temporary citizenship – which is valid for 1-3 years. This temporary citizenship will require a sponsorship from a friend or family member. You can also apply for a permanent residency which is valid for 5 years. The permanent residency Visa can be renewed, indefinitely, every 5 years. Once you have lived in Russia for five years, or if you have married a Russian citizen, you can apply for citizenship. It is important to note that Russia utilises a quota system limiting the number of immigrants from each country in the world so you may have difficulty emigrating, but can reapply each year.